Dan and I are continually asked how we lived through the roller coaster journey of the entrepreneurial home. How did our marriage survive? I have always tried to be honest and open about the struggles and setbacks, the highs and the lows. I don’t want to paint a Pollyanna picture of everything being all roses. 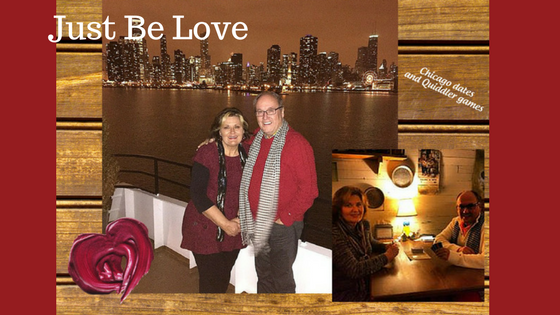 There are many reasons why we have been happily married for fifty years in spite of great losses, many frustrations, moments of anger, despair and fear. Most of the time I think we both concentrated more on what we were grateful for rather than what we didn’t have that we thought we should have. It’s a matter of weights and balances. We loved each other. We knew that our dedication to the sanctity of our union was always at the top of our list of priorities….in spite of any circumstances. We were, and still are, a team. Not clones of one another but a team that can withstand more together than we can singly. Pointing fingers and adding up past offences would do nothing but exacerbate any trouble we faced. So, with that being said, how did we cope during the worst of times? We clung together in being part of the solution to the problems instead of being a part of the problem. You see, if we were continually at odds with one another because things were going down the toilet….WE were then becoming part of the problem and that would get us nowhere. Trust me, being part of the solution was not always where my head wanted to go but it was always where my heart wanted to go. I knew that both of us were smart enough and enterprising enough to eventually get us out of the hole that had been dug. Notice, I didn’t say that Dan had dug for us! Oh, yes, there were many times I felt he had dug us into a hole we would never get out of. There were many times I wanted to just be “normal” for a while, where he got a real job, a steady paycheck and some “security” in our lives. I also knew that if I got angry enough…weepy enough, and pleaded with him to do so, he would definitely have done this. However, I also know he would have been miserable and, thus, so would the rest of the family. It would have gone against his nature and I always wanted to believe in him even during the toughest of times. I hope this Valentine’s Day brings joy into your life. I hope you look at the big picture today and put effort into creating everlasting love that touches everyone you encounter. You are so right my friend!!! I couldn’t have said it better!!! Love you so much…… Happy Valentines Day!! You and I have had a lot of experience in this area Irene! Thanks for your comment. Love you too! Miss you! Great encouragement! Ultimately it is about living sacrificially and following Christ’s example of love. Yes, it truly is about unconditional, Christ-like LOVE. If you took out all the other principles of the Bible and used “Just Be Love” as your guide….this world would be a better place. Our family motto was always, “Practice being kind rather than right!” and that makes a huge impact on any relationship. Thanks for your comment, Rosetta! Good word, Joanne! Jay and I regard you and Dan as role models on how to do marriage right. And of course that “right” will look different for everyone, but the foundational issues are key regardless. Happy Valentines Day! Thanks, Theresa for your sweet comment. Yes, you are right….the foundational issues are the key….and then intentional living those out every day. Miss you and our talks! Beautifully stated. Happy Valentine’s Day to you also. Great to hear from you,Rose. Thanks for the comment! Thanks so much for commenting, Teresa and for your kind words. Blessings to you, my friend…. Yes, it’s not a “ball and chain” but a continual investment and choice every day to love one another and connect. So glad to have you as my mama! Life itself is a roller coaster having many ups and downs. Your journey gives an insight to how relation can be a true motivator in achieving success.